6-9 p.m. Phil Vandermost will play a mix of music ranging in styles from Cold Play to Bob Marley. JC Beans. 34114 Pacific Coast Highway, Dana Point. 7-10:30 p.m. Listen to music from the Chris Andersen Band at Iva Lee’s. 555 N. El Camino Real, San Clemente. 949.361.2855. www.ivalees.com. 7 p.m. Join Alan Hostetter for an evening of blissful relaxation through a 90-minute workshop that includes yoga nidra, aroma therapy, sound healing with didgeridoos, crystal singing bowls and more. Pre-registration is $20, registration at the door is $30. iHeartYoga. 64485 Golden Lantern, Dana Point. www.iheartyoga.com. 7:30 p.m. The fully-staged production of the The Music Man follows a fast-talking traveling salesman as he cons the people of River City into buying instruments and uniforms for a boys’ band that he vows to organize. His plans to skip town with the cash are foiled when he falls for Marian, the librarian. The show is free and continues on Saturday, July 22 at 7:30 p.m. Reserved seating is available at $20 per person, presale only. Saddleback College, Outsider Upper Campus Quad. 28000 Marguerite Parkway, Mission Viejo. 949.582.4500. www.saddleback.edu. 8-11 p.m. Listen to Wilfax perform live. OverVue Lounge, Laguna Cliffs Marriot. 25135 Park Lantern, Dana Point. 949.661.5000. www.lagunacliffs.com. 8-11 p.m. Listen to Felisha perform live. Barnoa Wine Bar. 831 Via Suerte #106, San Clemente. 949.388.4378. www.barnoawinebar.com. 7-10:30 p.m. Listen to music from The Amazing Wildcats at Iva Lee’s. 555 N. El Camino Real, San Clemente. 949.361.2855. www.ivalees.com. 9 a.m. Participants will learn how to grow juicy citrus and hear advice from the experts. Armstrong Garden Center. 32382 Del Obispo Street, San Juan Capistrano. 949.661.6666. www.armstronggarden.com. 9:30 a.m. Colin Dunleavy will share tips on how to create and care for native gardens. He will focus on initial site prep, planting techniques and the establishment and care of plants. He will also discuss native plants that work well in small gardens. Tree of Life Nursery. 33201 Ortega Highway, San Juan Capistrano. 949.728.0685. www.californianativeplants.com. 10 a.m. The Friends of the Dana Point Headlands invites families to join the children’s program at the Dana Point Nature Interpretive Center. The program is held the fourth Saturday of the month. Kids will learn about the natural world in a hands-on way. For reservations, email friendsoftheheadlands@cox.net. Dana Point Nature Interpretive Center. 34558 Scenic Drive, Dana Point. 949.248.3527. 10:30 a.m.-12:30 p.m. Laura Knight, author of Spot: A sea pups survival guide will be reading her book at the Ocean Institute. A craft activity is planned for after the reading. The Ocean Institute. 24200 Dana Point Harbor Drive, Dana Point. 949.496.2274. www.ocean-institute.org. 1-2 p.m. The Little Yogi Summer Program is for children ages 4-12. Family members are more than welcome to join the class, and there are interactive exercises and games. The focus is on having fun through movement, engaging with class participants, and creating authentic and meaningful experiences. pure.love.yoga, 415 E. Avenida Pico. 949.492.5048. www.pureloveyogasc.com. 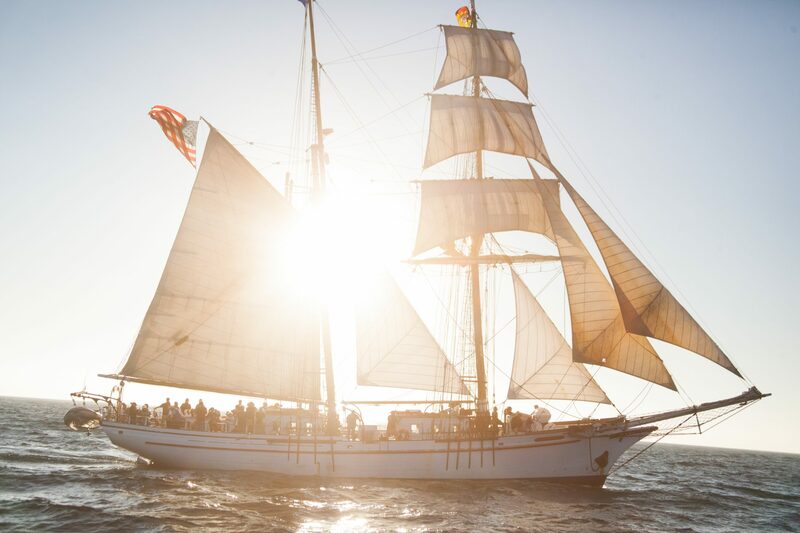 1-4 p.m. Join the Ocean Institute aboard the Spirit of Dana Point. Join the crew and help raise the sail, handle lines and steer the ship, or simply sit back and relax. Cost is $60 for adults, $40 for children 4-12 and $50 for seniors. Tickets includes admission to the Institute. Ocean Institute. 24200 Dana Point Harbor Drive, Dana Point. 949.496.2274. www.ocean-institute.org. 4-7 p.m. The Dana Point Symphony will hold their first ever July performance alongside students from the Montecito International Music Festival Orchestra. Tickets are $20 for adults, $15 for students, senior and military. Laguna Niguel Presbyterian Church. 30071 Ivy Glenn Drive, Laguna Niguel. www.danapointsymphony.com. 6-9 p.m. Marty McIntosh is a traveling musician who will perform some country, classic rock and modern hits. JC Beans. 34114 Pacific Coast Highway, Dana Point. 7:30-10:30 p.m. Listen to Wilfax perform live. Boarnoa Wine Bar. 831 Via Suerte #106, San Clemente. 949.388.4378. www.barnoawinebar.com. 8-11 p.m. Listen to Will & Gary perform live. OverVue Lounge, Laguna Cliffs Marriot. 25135 Park Lantern, Dana Point. 949.661.5000. www.lagunacliffs.com. Noon-3 p.m. Listen to live performances every Sunday. Stillwater Spirits and Sounds. 24701 Del Prado, Dana Point. 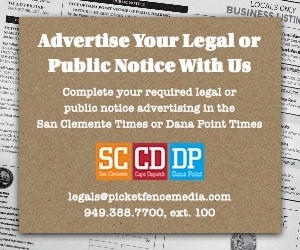 949.661.6003. www.danapointstillwater.com. 2:30-6 p.m. Every Sunday through July enjoy music from a variety of bands. This week’s bands are Saturday Night Fever: a tribute to the BeeGees and ABBAFAB: an Abba Tribute. There will be food and beverages for sale. A free shuttle service will be provided from Dana Hills High School from 1-7 p.m. The event is free and open to the public. Sea Terrace Park. 33501 Niguel Road, Dana Point. www.danapoint.org. 5:30 p.m. Join Dana Wharf for a 90-minute evening cruise aboard the luxury catamaran. The cruises run Friday and Sunday evenings. Tickets are $49. Dana Wharf Sportfishing & Whale Watching. 34675 Street of the Golden Lantern, Dana Point. 949.496.5794. www.danawharf.com.